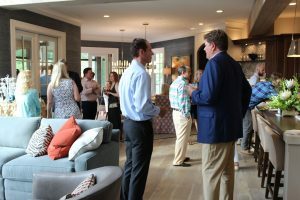 Avalaire welcomed the Triangle’s most elite luxury Realtors at The Lodge at Avalaire for an unforgettable Summer Soiree. Guests rang in the summer season with hors d’ouevres, cocktails, and entertainment from local La Fayette Village and North Hills vendors such as Vivace, Vinos Finos, The Chocolate Boutique, Southern Craft Butchers, music by Maj Deeka band, and live painting of the Downtown Raleigh skyline by local artist Tesh Parekh. The Avalaire team thanks all who attended and made this such a memorable evening. Avalaire is the greater Triangle region’s premier destination for luxury living. Located in the heart of North Raleigh just off Durant Road, Avalaire is minutes from the area’s best schools, fantastic restaurants, and great shopping. Avalaire will offer beautiful parks throughout the community, 25 percent of which are dedicated to the preservation of its natural resources. Two centuries-old oaks will border the grand entrance, leading the way to 56 gorgeous home sites in phase one, which range from three-fourths of an acre to just under three acres. Residents of the community will also enjoy no city taxes, in addition to the serene atmosphere. For more information, visit Avalaire.com. 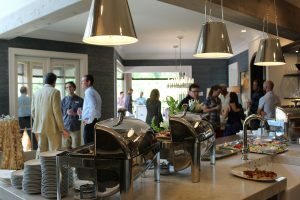 RALEIGH, N.C., Aug. 28, 2017 – Avalaire, North Raleigh’s premier destination for luxury living, welcomed their first residents who are now officially this prestigious community home. The first residents of Avalaire, made a local move from the nearby neighborhood of Bedford at Falls River, and are now living in Avalaire. 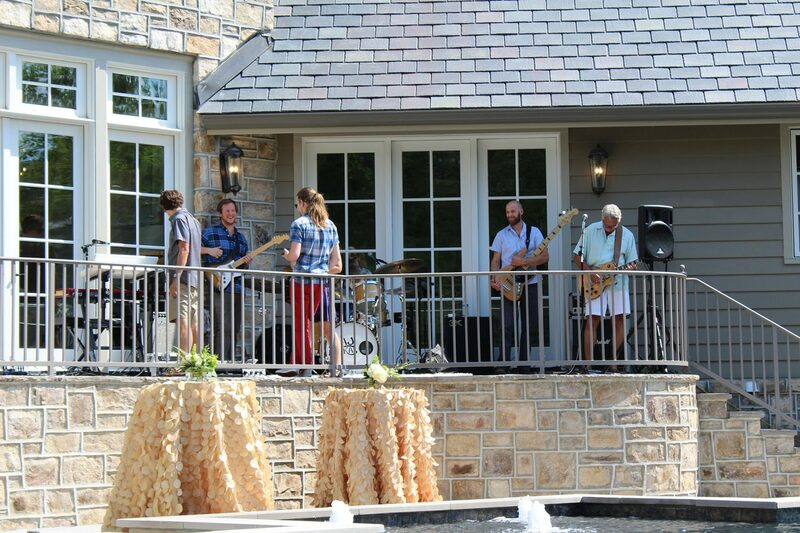 They chose KJ Construction to build their luxury home with a value of over $1.3 million. They broke ground on this stunning prairie-style custom home in January and were swimming in their pool by Summer. Their home is a thoughtfully designed home with very clean modern lines and an open design that flows seamlessly through a wall of glass that folds away as they transition to their outdoor living areas poolside. KJ Construction is one of 9 award-winning builders in Avalaire and has two additional custom-designed homes underway with customers on the other home sites he owns in phase one. Avalaire developer Mark MacDonald says of the 56 lots in the project’s first phase, 38 lots have been sold to nine participating builder groups with the first finished home opening in late July. Four other houses are under construction and another four houses have pre-sale contracts with builders and will be breaking ground soon. Avalaire is slated to have a total 93 wooded home lots, each averaging more than one acre. All of the homes planned so far at Avalaire range in value from $1.25 million to more than $3 million, MacDonald says, with the average being around $1.75 million. Raleigh builder Rex Bost is expecting to showcase a custom speculative home he’s building at Avalaire that’s valued at $3.23 million by the opening of the annual Triangle Parade of Homes in late September. 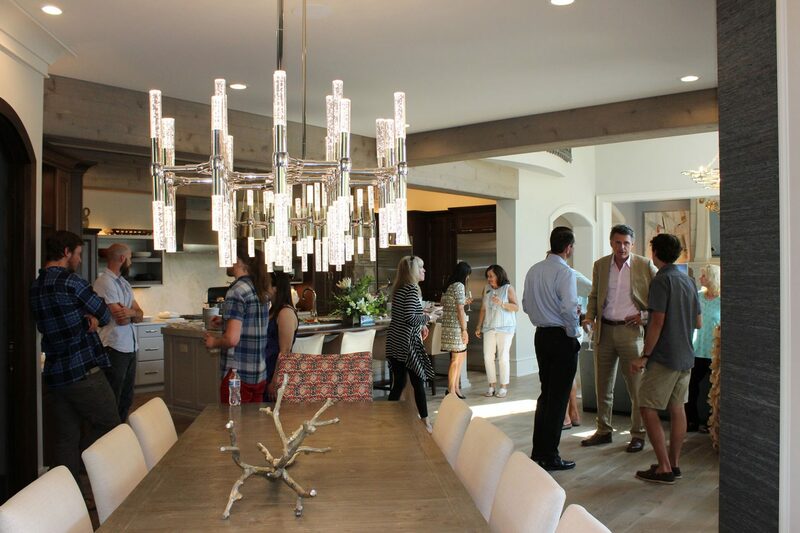 This home will also serve as the Sales Center for Avalaire. 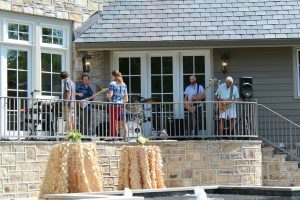 “Our first residents were great customers to work with and it was important to take into consideration their set of ideals they were trying to achieve in this home,” said Steven, owner of KJ Construction. “We welcome our first residents to Avalaire and hope they find a lifetime of happiness here,” said Mark MacDonald. “KJ Construction and the entire builder team are known for their ability to create unique, custom homes that fulfill the buyers’ dreams,” Pablo Reiter, Development Partner said. Avalaire is the greater Triangle region’s premier destination for luxury living. Located in the heart of North Raleigh just off Durant Road, Avalaire is minutes from the area’s best schools, fantastic restaurants and great shopping. Avalaire will offer beautiful parks throughout the community, 25 percent of which is dedicated to the preservation of its natural resources. Two centuries-old oaks will border the grand entrance, leading the way to 56 gorgeous home sites in phase one, which range from three-fourths of an acre to just under three acres. Residents of the community will also enjoy no city taxes, in addition to the serene atmosphere. For more information, visit Avalaire.com. RALEIGH, N.C., April 14, 2016 – Avalaire, North Raleigh’s premier destination for luxury living, has announced that it will officially break ground on more than 100 acres of land for phase one of the new home community near the intersection of Durant Road and Honeycutt Road next Wednesday, April 20 at 2 p.m. Phase one will include 56 new home sites. Each site ranges from three-fourths of an acre to just under three acres, with home prices from $1 million and up. Following the groundbreaking, work will begin immediately to build infrastructure for the community, including clearing timber for roads and sidewalks, constructing storm water retention ponds to manage surface water runoff and installing utilities. An all-star roster of the Triangle’s most exclusive builders are eager to break ground, including Rex Bost, president of Bost Custom Homes, whose team has been selected to design and build the model home in Avalaire. Notably, Avalaire will preserve 25 percent of its acreage as natural habitat, a sharp contrast from other developments that clear cut land for residential development. Spacious parks and meandering walking and biking trails will complement the community’s landscape. Coldwell Banker Howard Perry and Walston’s The Young Team serves as the exclusive sales team for Avalaire. John and Leslie Young have been consistent multi-million dollar producers specializing in the North Raleigh luxury market and are members of the Luxury Home Marketing Group. They have received recognition as recipients of Coldwell Banker’s International President’s Elite Award and Team of the Year Award, and have been ranked among the top 10 Coldwell Banker teams in North Carolina. For more information about Avalaire please call 919.880.7911 or visit Avalaire.com. Avalaire Land, headquartered in Raleigh, NC, is a premier residential land development company that was founded to acquire and develop award winning, luxury residential communities in the Carolinas. The company was founded by Mark MacDonald and Pablo Reiter, who take immense pride in designing communities that they are proud to call home and that will stand the test of time by preserving and utilizing the natural beauty of the local landscape. The executive team has more than 100 years of combined experience in real estate development, specializing in acquisition, finance, land planning, project entitlement, construction and sales and marketing. The mission of the company is to be a responsible steward of land resources by utilizing a conservative, disciplined, hands-on approach in creating market-leading communities. RALEIGH, N.C., January, 2016 – Avalaire, North Raleigh’s premier destination for luxury living, recently closed on more than 100 acres of land for phase one of the community near the intersection of Durant Road and Honeycutt Road for $10.5 million. Construction is expected to begin in May 2016 on phase one, which will include 56 home sites. Each site ranges from three-fourths of an acre to just under three acres, with home prices from $1 million and up. Phase two, comprising an additional 60 acres and 34 lots, is expected to begin in 2017. Avalaire is the greater Triangle region’s premier destination for luxury living. Located in the heart of North Raleigh just off Durant Road, Avalaire is minutes from the area’s best schools, fantastic restaurants and great shopping. Avalaire will offer beautiful parks and meandering trails throughout the community, 25 percent of which is dedicated to the preservation of its natural resources. Two-centuries-old oaks will border the grand entrance, leading the way to 56 gorgeous home sites, which range from three-fourths of an acre to just under three acres. Residents of the community will also enjoy no city taxes in addition to the serene atmosphere. For more information, visit Avalaire.com.